Today I’ll be blogging in english because today I’m blogging my first Tickled Pink Stamps creation as part of the amazing design team. Unfortionetly I’ve allready messed up and missed the deadline. I kind of thought the previews started tomorrow, well better late than never right? 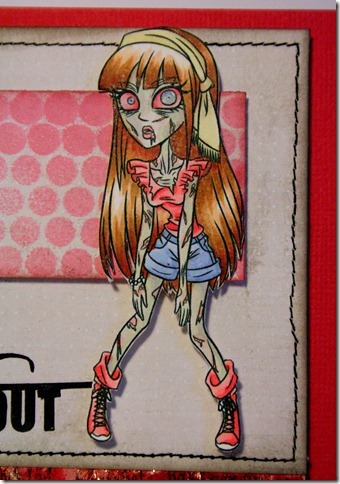 I made a card with the creapy-cute Zombie Kellita, one of the Lil Haunt 2 collection. They will be avalible the 15th. 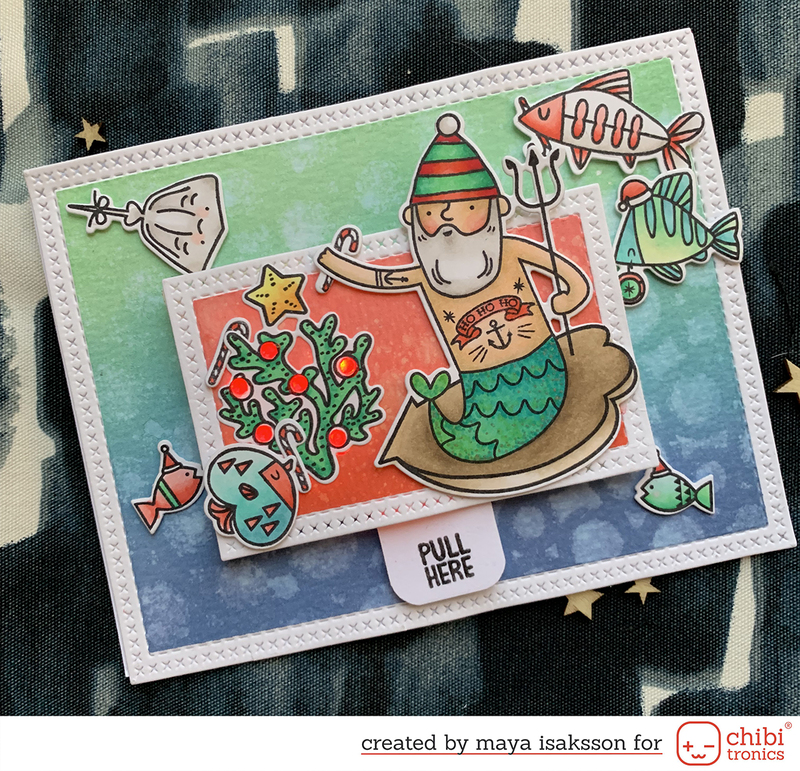 They are sooooo much fun and as usual really fun to color.